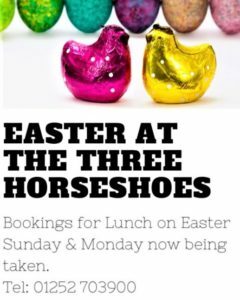 Bookings are now being taken for lunch on Easter Sunday, including an Easter Egg Hunt for the children. Come and enjoy a Hog Roast in the garden on Easter Monday. If the weather is against us on the day, we will seat you in the pub instead!